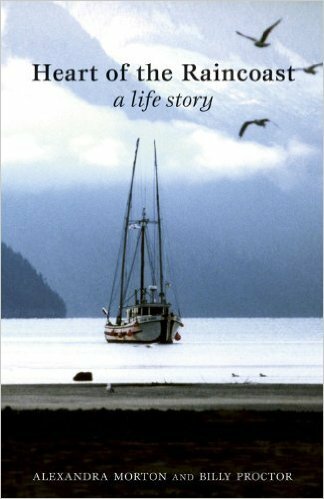 The book began with assistance from Arlette Raaen, then the principal at the Malaspina University-College in Powell River, her husband Chris McNaugton, and Janet May. They recorded many of Elsie’s stories and developed a draft manuscript. Sliammon today from the water side. Elsie, in conjunction with her granddaughter Harmony Johnson and Paige Raibmon, professor at Simon Fraser University, completed the project. 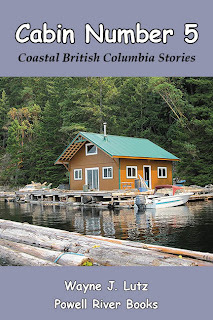 UBC Press published the completed work in 2014 as a part of the Women and Indigenous Studies Series. Since then, Elsie has been honored with both a CLIO Lifetime Achievement Award and a Canadian Aboriginal History Book Prize from the Canadian Historical Association. I’ve called Powell River home since we purchased our float cabin in 2001. In all that time, the only time I went to the Sliammon Reserve north of town was for the welcoming of travelling canoes. Reading Elsie’s book has opened my eyes to the origin of my town, and the First Nations people that played a pivotal role. Elsie grew up in the era of residential schools. With the recent release of the Truth and Reconciliation Commission’s report, her words bring a lot of meaning. First Nations children were rounded up, ripped from their families, and forced to live in regional schools run by church entities. Rather than being loving and nurturing environments, they were harsh and abusive experiences. Not what you'd expect from religious adults. Elsie, known lovingly as Chi-Chia (grandmother in the Sliammon language), was protected from being taken away to the Sechelt Residential School many times by the grandparents who raised her. Experiencing just a few years away from home at a young age was traumatic. 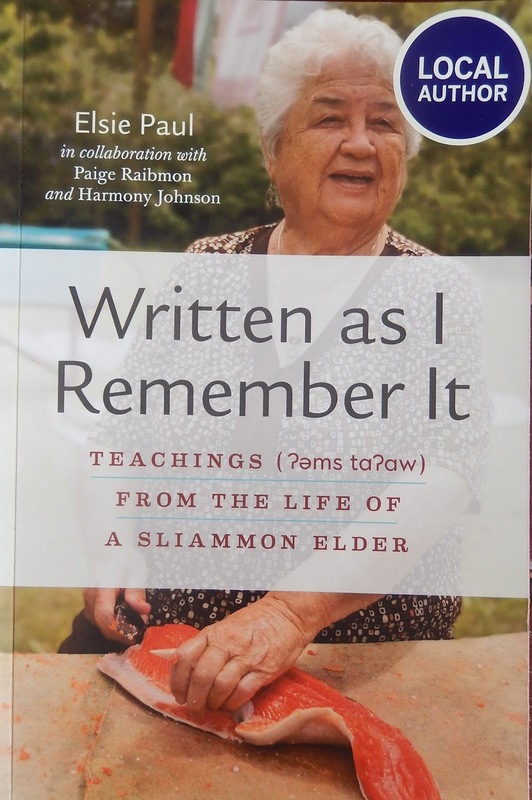 Living with her grandparents on the Sliammon reserve and in remote camps, Elsie learned the traditional language and ways. Because of the disruption to normal life caused by residential schools, much has been lost, including speakers of the Sliammon language. 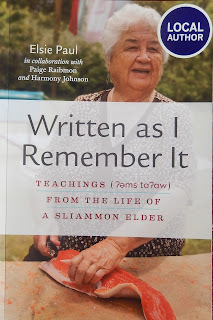 Now as a Sliammon elder, she is preserving what she knows and remembers. The book was written in Elsie’s voice from recordings, but edited to make it accessible to all readers. Translations by linguist Honoré Watanabe are included, showing how an oral language is put it into a written form to save it for future generations who have lost their oral roots. Written as I Remember It tells about Elsie’s ancestors, where they came from, how they lived, and how that merged into modern living. Prejudice had to be overcome, but Elsie constantly strove in a positive manner to make a better life for her family and fellow members of the Sliammon Nation. Summer rains are coming, and that's a good thing. It's been really dry this year and Powell Lake where my cabin floats is at a record low. An old weather saying, "mackerel sky, more wet than dry," comes to mind. Clouds here in Coastal BC offer a beautiful display in addition to their forecasting properties. I'm constantly taking pictures of the sky in all of its moods. A mackerel sky is made up of altocumulus clouds, indicators of moisture and instability in the atmosphere. The clouds ride at intermediate levels from 2400-6100 metres (8000-20,000 feet). Altocumulus clouds often precede rain showers or snow flurries. Blue Grouse (Dendragapus obscurus) are common throughout most of BC. They can be found in most forests, woodlands, and lowlands. When winter arrives, they move to higher elevations. Females are mottled brown with a gray underside. Males have a prominent yellow-orange comb and white-based feathers covering a bare spot on the side of the neck that is inflated to amplify hooting. A coastal subspecies is known as the Sooty Grouse (D.o. fuliginosus). They can be distinguished by their darker tone to their plumage. You know spring has arrived when you hear the thumping sounds of mating grouse. The drumming sound is created when the male sits on a high branch and beats his wings. When a female arrives, if she deems him to be a qualified candidate, mating occurs. When Wayne and I first heard the thumping sound, we thought it was treetops hitting each other in the wind. We named it Thumper. Later when John told us the true source of the sound we felt a bit foolish. References: Field Guide to the Birds of North America (National Geographic, 2002) and Complete Birds of North America edited by Jonathan Alderfer (National Geographic, 2014). p.s. Determining the type of grouse was hard for me. They are so similar. If anyone out there is a bird expert, let me know what you think. Coastal BC doesn’t have many kinds of snakes, and none are venomous, thank goodness. But what we lack in variety, is made up in quantity, especially when it comes to garter snakes. There are at least three species in our area, the Wandering Garter Snake, the Northwestern Garter Snake, and the Common Garter Snake. Around the cabin we see mostly Common Garter Snakes (Thamnophis sirtalis). They can be identified by the yellow dorsal stripe going down the back, a dark band between the yellow back and side stripes. Garter Snakes are mild mannered snakes that live in both dry and moist habitats. They are good simmers, often entering lakes and rivers to feed or escape predators. On warm days, they like to bask in the sun. Benefits of having garter snakes around include their eating habits. They prey on mice, insects, amphibians (including young invasive bullfrogs), and small fish. They are also fun to watch. In the winter, garter snakes group together winter underground in hibernacula. In spring, the males exit first. They wait around at the entrance until the females emerge to what amounts to a mating frenzy. Unlike some snakes, young are born live in mid-summer. We call our garter snakes Buster. We see them either sunning on the lower cabin decks, or swimming in the water nearby. The undulating motion is mesmerizing to watch. One memorable day we saw a battle to the death between Buster and an unsuspecting frog on our natural swimming pool’s rocky beach. The poor frog disappeared to be digested slowly starting with a hind leg, then progressing slowly up to the body with the head disappearing last. What a terrible experience for the poor frog! But that’s nature. This week I had two large bananas beyond their shelf life. I decided to make a breakfast brunch for Wayne and include fresh baked Banana Nut Bread. Here’s the recipe I used from my favourite Fannie Farmer cookbook. It’s simple. Mash the bananas with a fork. Beat the eggs in a bowl then add the bananas. Mix well. Add flour, sugar, salt and baking soda and stir. Add nuts (I used pecans because I prefer their flavour). Grease an 8½ X 4½ loaf pan. Pour batter (it will be runny) into the pan. Bake at 350 degrees for one hour, or until the top is brown with a crack running down the middle. NOTE: I didn’t have three bananas, but the ones I had were large. To make up for the missing ingredient, I added ¼ cup of vegetable oil. That replaced the liquid from the missing banana, and added moistness in its own right. This summer has had many great days for swimming. Our "pool" is a natural part of the lake with it's own granite beach. We aren't the only ones who enjoy a good swim on a hot summer day. 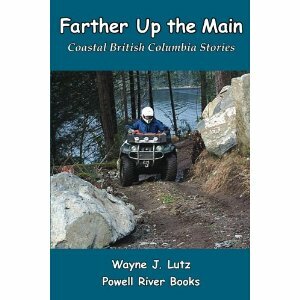 I’ve been reading books about British Columbia’s coast ever since we discovered Powell River. In the beginning, there were only a few to choose from. Lately, more and more people are writing memoirs and tales of the early fishing and logging days. One person mentioned often is Billy Proctor. He grew up and still lives on the Mainland, the area and islands between Drury to Knight Inlets. Billy has been prominent in many books that I’ve read including Drawn to Sea by Yvonne Maximchuk, Becoming Wild by Nikki Van Schyndel, and now Heart of the Raincoast: A Life Story (Touchwood Editions, 1998) co-authored by Alexandra Morton and Billy himself. Billy’s father was a logger and fisherman. 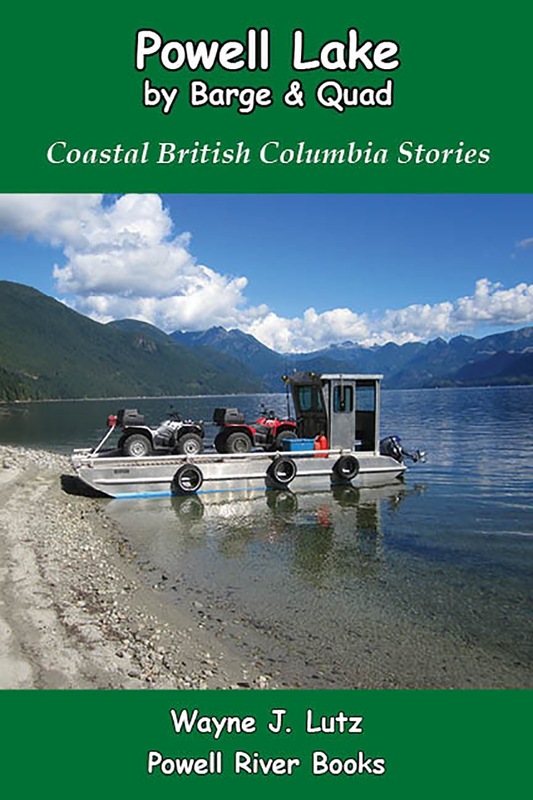 After he was killed in a boating accident, his wife Jae surprisingly chose to stay on the remote BC coast to raise her son Billy, not an easy task. To make ends meet she continued to run her husband’s fish buying business. As the title implies, the book follows Billy Proctor’s life from his parent’s arrival on the coast in the 1920s to the present. Interspersed are poems written by his mother Jae. Photographs from the early days add to the story. Following in his father’s footsteps Billy became a logger and a fisherman. He resisted formal “schooling” via correspondence lessons, learning more from the school of life and nature around him. He was fearless and loved to explore by land and sea. Heart of the Raincoast gives great insight into the region I now call home. Powell River isn’t remote like the Mainland, but the shores of Powell Lake look much like those of northern inlets. I guess I enjoy learning about the past of this inspiring location for two reasons: I want to know as much as I can about where I live, and as a history major in college it’s a special love I have. Billy and his wife Yvonne (also a Mainland native) moved to Echo Bay on Gilford Island in 1959. 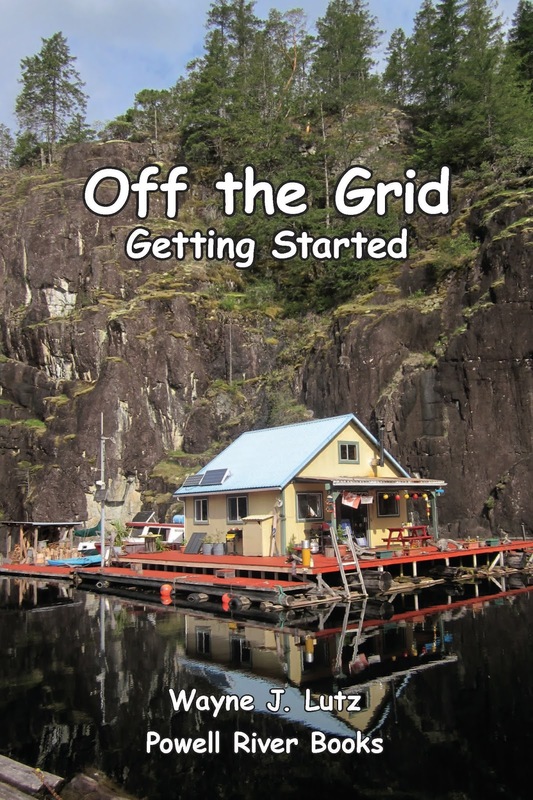 They bought a boatshed and marine ways to increase the family income. They purchased land to build a home for their family, including daughters Patty and Joannie. Subdividing some of his land, Mainland newcomers like Nikki Van Schyndel, Yvonne Maximchuk, and Alexandra Morton have found permanent homes in the land they’ve come to love. In recent years, Billy has become a strong proponent for wild salmon recovery. All of his fishing experience has given him special insight into the plight of fish he once depended on for a livelihood. Now he is a vocal proponent of conservation, serving on committees and supporting hatchery efforts to increase the stock of wild salmon. Crossing the "North Sea" on Powell Lake. Our good friend John has given names to important places on Powell Lake. One that we know well he calls the North Sea for good reason. Powell Lake is where our float cabin home is located. To get there, we have to take a boat north from the Shinglemill Marina for about 15 klicks. About two thirds of the way up we have to pass a large section where the lake splits around massive Goat Island. This section get blasted with storm winds form the southeast, clearing winds from the northwest, and summer up-lake winds during the day. On the worst of days it can get waves a metre in height. That's large for most of the boats cabin owners use to get to and from their places. More skookum work boats can take pretty much anything, but even for them the North Sea can be pretty daunting. Our natural swimming pool behind the cabin attracts more than Wayne and me. Floating around in my inflated chair called Utopia I see lots of interesting things: bullfrog pollywogs, water striders, trout, bullhead, garter snakes, even an occasional river otter. 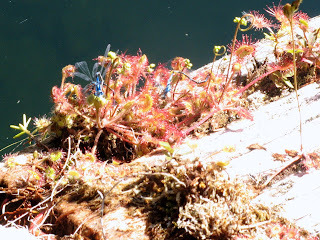 During a recent swim I saw a beautiful Tule Bluet Damselfly. 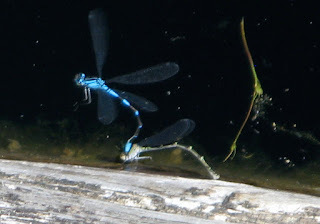 This damselfly is found near lakes and ponds along the coast from British Columbia to Mexico. It has the distinctive thin abdomen of the damselfly. Based on the blue colour, this is a male. Females are paler or greenish-yellow. Tule Bluet in a carnivorous Sundew. 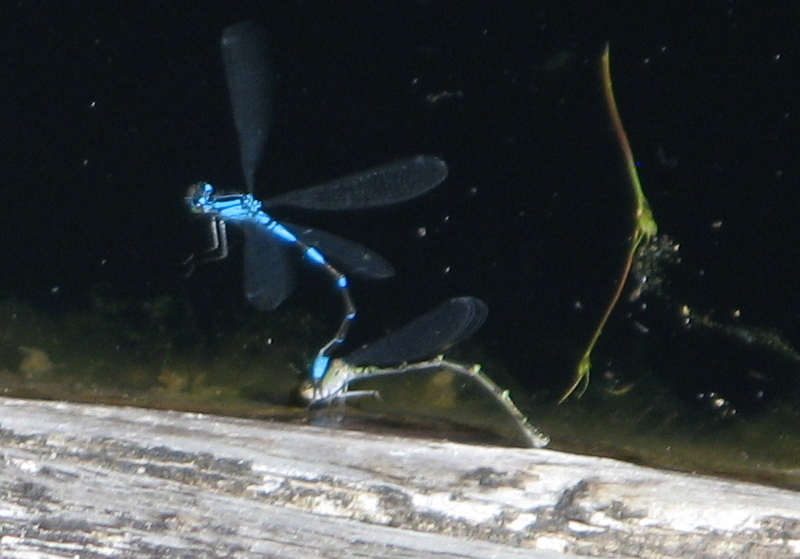 Adult Tule Bluet Damselflies eat soft bodied insects including mosquitoes. That's another critter in our arsenal against those biting insects. But around my pool they have to be careful. Carnivorous Sundew plants love to catch them in their sticky traps. After mating, the male grasps onto the female to protect her while she lays her eggs under the water.